Japan’s finance ministry on Monday acknowledged that documents in a suspected cronyism scandal had been doctored. The ministry said a senior ruling party official made this known as pressure mounts on Prime Minister Shinzo Abe and his Ally, Finance Minister Taro Aso, over the case. Abe, now in his sixth year in office, had tried to put behind him questions over the sale of state-owned land at a huge discount to a school operator with ties to his wife, Akie, behind him. His ratings had rebounded from a slump last year, but doubts have revived with a series of fresh revelations. Abe has repeatedly denied he or his wife did favors for school operator Moritomo Gakuen, which bought the land, and had said he would resign if evidence were found that they had. The issue last year sharply eroded Abe’s popularity. Suspicions of a cover-up could slash Abe’s ratings and dash his hopes of a third term as leader of the ruling Liberal Democratic Party (LDP). Victory in the LDP September leadership vote would put him on track to become Japan’s longest-serving premier. The doubts have also sparked calls for Aso to resign. A March 9-11 survey by the Yomiuri newspaper showed support for Abe’s cabinet fell to 48 per cent, down six points from a month earlier. Non-support rose to 42 per cent and 80 per cent said that the matter had not been handled appropriately. LDP parliamentary affairs official Hiroshi Moriyama told reporters that he had been briefed by finance ministry officials that the documents related to the land sale had been altered. Media have said the changes were made after February last year and that words describing the “special nature” of the deal were excised along with the names of several politicians. The time described was when the suspected scandal broke. “If this is true, isn’t political responsibility unavoidable?” said Akira Nagatsuma, a senior lawmaker in the opposition Constitutional Democratic Party of Japan, on Sunday. Former Moritomo Gakuen head Yasunori Kagoike and his wife were arrested in July on suspicion of illegally receiving subsidies. On Friday, National Tax Agency chief Nobuhisa Sagawaabruptly resigned over his remarks in parliament about the case. 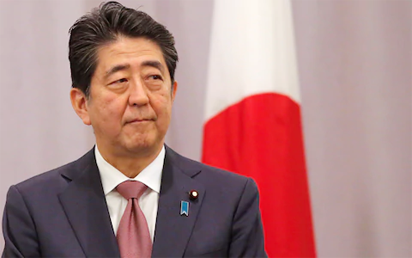 The post Japan PM, finance minister under fire over suspected cronyism scandal appeared first on Vanguard News.